Tucker was a leading member of the New Generation of sculptors in London in the mid sixties. 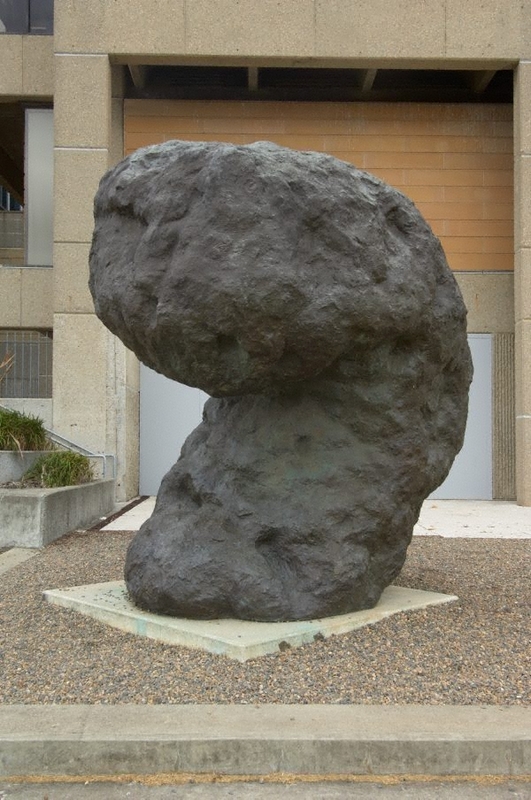 Their influence on Australian steel sculpture has continued to the present. Tucker however has moved on to other media and very different forms. This vast sculpture was made in plaster and cast directly in bronze. It suggests animated form being drawn up out of the earth. The cloud like volume may be seen as humanoid or as primal matter. Unlike other contemporary artists making large scale bronzes the original was modelled full size by the artist and not enlarged by technological processes. The surface is therefore a direct impression of the making process and the artist's gestures. Anthony Bond and Victoria Lynn, AGNSW Collections , 'Contemporary Practice - Here, There, Everywhere ...', pg. 229-285, Sydney, 1994, 246 (colour illus. ).